Congatulations to my son Jon Eldon in the Reading Half Marathon on 17th March. (Faster than me at that age!) His mum must have been looking after him. Congrats also to the organisers for the new technology that gave the exact finishing time on his phone as he finished. Reading Roadrunner Rob Corney was 10th in 66:07. The highest finisher from Reading for some time. There were 271 from the three Reading Clubs. Jon Eldon, my eldest son and former member of Reading AC and Reading Joggers retired to Cornwall last year and has regained his running form at 58 years. He is winning his age category in the local Park Runs and has joined Carn Runners. In a recent Park Run he was 21st out of 200 and first in his 55-59 category with a PB of 21.38. Reading Roadrunner Gemma Buley ran the Abingdon Marrarthon in 3:15 on 21st October. Congratulations to Reading Roadrunner David Dibben who ran his first marathon , just a few months before his 70th birthday at Brighton in 3:43. He was top in his age group and now runs at Chester later in the year where he will wear the England vest. I remember when he started running about 30 years ago in Caversham when we used to run together on Sunday mornings. Another great athlete from the 1950/60's passed away on 29th April. We ran together many time including Moscow and Helsinki in 1959 where we were 1st and 2nd. We used to train on the roads north of Reading and south Oxfordshire for up to 15 miles. On one occassion to help with his training he ran a 1.5 mile time trial on Warrave recreation ground with Mmary Rand running some laps as pacemaker and me for most of it. It was thanks to him that I bcame the sole agent for ASICS(Tiger) shoe in Europe. We ran together many times. Commonwealth Games on the Gold Coast. The UK's best marathon runner for over 20 years, Callum Hawkins of Scotland, had a good lead until 25 miles but then collapsed with the effect of the heat. It was 50 years ago this year that I suffered a similar fate in these Games running in the six miles on a very hot day in Cardiff. As a result of which I was used by Roger Bannister for research into running in excessive hot conditions. Much research has been done since but the problem still occurs. I hope it does not damage Callum's future prospects. 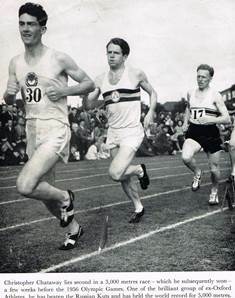 Sad news on Sunday 4th March, the death of Dr Sir Roger Bannister.' a great man in every sense. His great achievemnent in 1954 when he was the first man to break 4 minutes for the mile. Someone I knew very well as we did research together on running in hot weather back in 1958. he was the doctor and I the guinea pig. I had met with him a couple of times in the last few years in Oxford including at the JR Hospital where we were both patients. Rob Corney, 23 years, set a new RRR's half marathon record time in the Wokingham Half Marathon. His time of 69 minutes 20 seconds beat the previous best by Howard Grubb by 4 seconds. More great runs from by great-niece Gemma Buley who along with husband Chris is constantly setting P.B's. At Wokingham Chris improved by 6 minutes and Gemma by 4 and in the Bramley 20 mile Gemma took 10 minutes off her previos best. It has contributions from many of the members with articles and photos from the 30 years history. Details on the RHM page. In the last few weeks one of the great distance runners of the 1950/60's died. 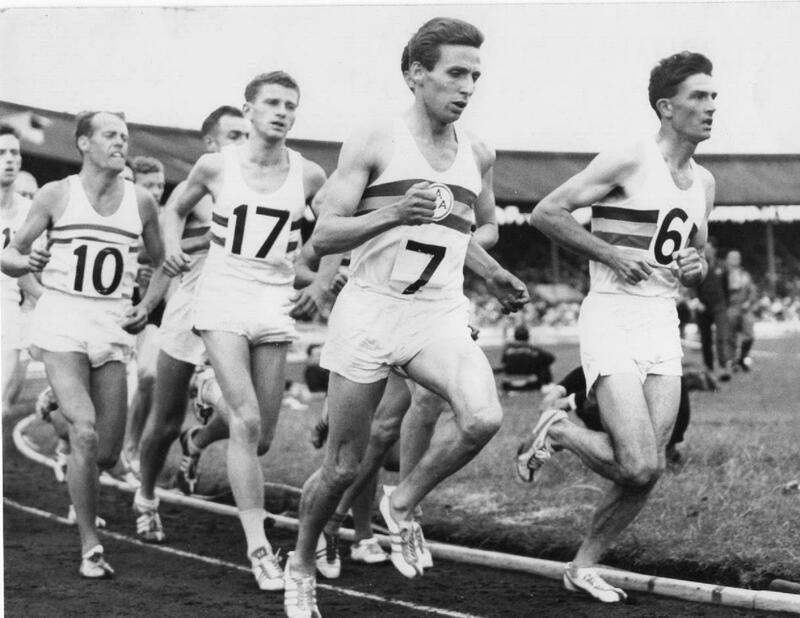 Derek Ibbotson MBE was a great athlete and I remember the night he broke the World Mile Record, 19th July 1957. I was in my police digs waiting to go on night duty and had no TV so had to listen on the radio. He broke the record with 3:57.2. He was a character as well as a super athlete. At the Commonwealth Games in Cardiff in 1958 he found the beds in the RAF camp at St Athan uncomfortale so he rang a well known matress maker and almost instantly a new matress appeared on the top of a car. I ran with him many times. Congratulations to Reading Roadrunners who celebrated their 30 year history on 21st January with a party. The club formed in 1987 following training sessions for the Reading Half Marathon organised at Palmer Park on three previous years. Later this year Reading Joggers celebrate their 40th birthday. Both are young compared to Reading Athletic Club who were formed in 1881. 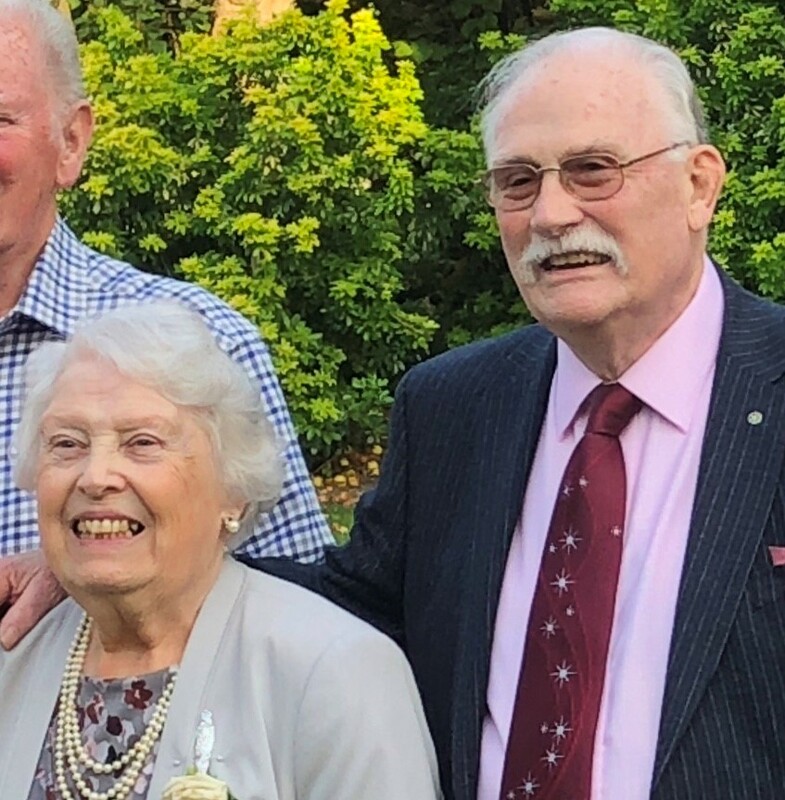 The autobiography by Stan Eldon 'Life on the Run' publisher by Arthur H Stockwell tells his life story which has had 'running connections' since the age of 12 as a schoolboy in Windsor. Various careers and activities, police, event organiser including setting up the Reading Half Marathon, charity administrator and newspaper columnist. The Case bound book was published by A.H.Stockwell Ltd in 2002 and is now available as an ebook on Amazon and has over years been reviewed in newspapers and magazines including the specialist athletics press in this country and overseas. Ahtletics Weekly ".. in the book the former International Cross Coutry winner (1958) provides a good red not only for those who ran with him, butb also for the many athletic fans who like a bit of controversy. Sprinkled with anecdotes, the book recalls the difficuties getting into Moscow airport for an international match, another is the claim by Gordon Pirie that 'Stan Eldon' cheats- he runs too fast at the start." Runner's World " Stan Eldon's 53 year old running career makes for a surprisingly good read.Eldon was one of Britain's top distance runners winning the International Cross Country title (the forerunner of the World Championship) in 1958. Her was in the police force, and became popular in the oress as the 'galloping cop'. 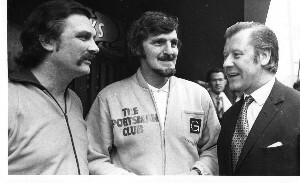 He was also a track runner of note, setting British records at 6 mikes and 10,000 metres." "...as I am only a few years younger than yourself, I can relate to your early years of life.........."
"....It really is an interesting production and to list all the best bits would take a whole book." 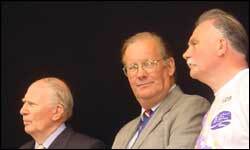 "....you will be joining such interesting signees as Ayrton Senna, Kerry Dixon, Barbara Windsor and Steve Redgrave. Would you like me to put you next to Barbara Windsor?" 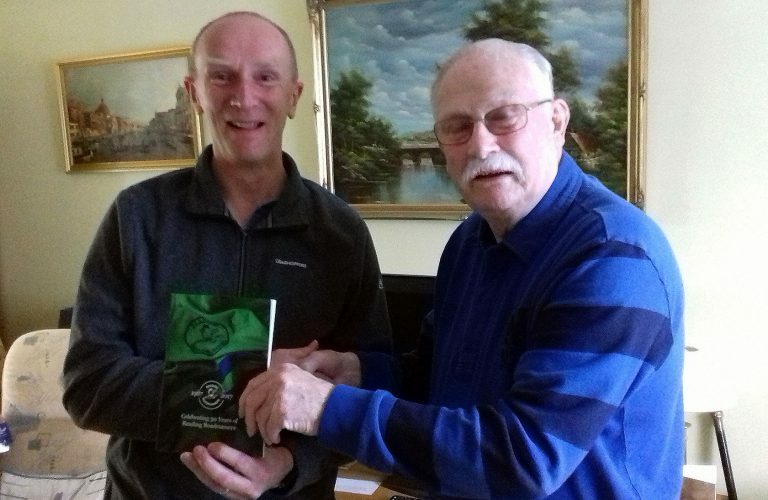 " The copper on the beat also became a highly successful international athlete...."
The Foreword for the book was written by Len Runyard the former secretary of Windsor Slough and Eton AC from its early days as Eton AC when Stan Eldon joined the club.